This is a common question that is usually asked by homeowners. 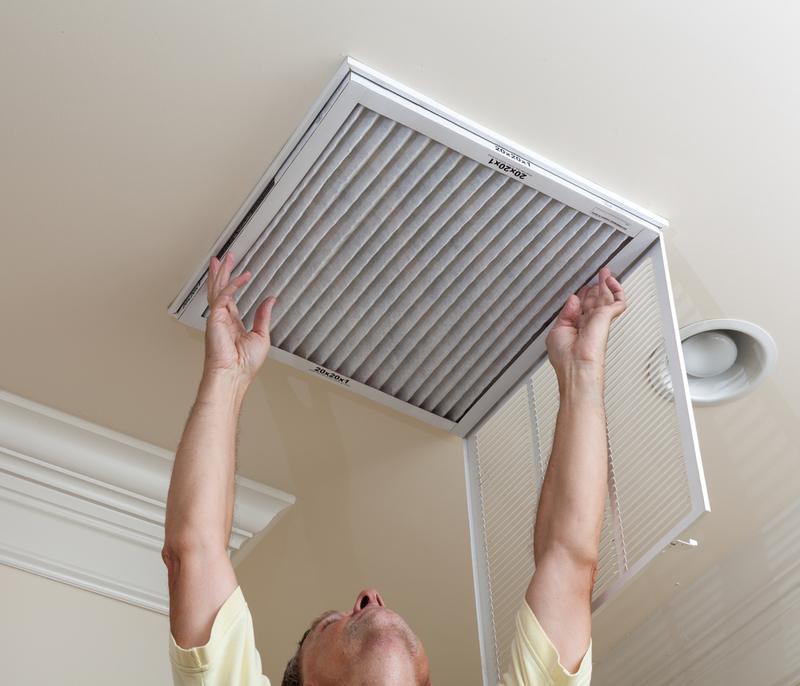 You need to know when to change your HVAC filter to ensure that the air quality throughout the home is at its best. When you do this, you’re giving your home a fresh take on the air that you breathe in daily. Here are some general guidelines to follow when it comes to switching out that old filter for a new one. Most manufactures recommend that the air filter for a HVAC unit is switched ever 30-60 days. Some of them say 3 months, at most. However, for better air quality, staying towards the 30-day mark is ideal. If you have central air, then this has to be done more often, as the system has to be able to pump the air throughout the entire home and switching every 3 months is not going to provide the best air flow or quality air throughout the entire home. If people inside the home suffer from allergies, if there is a pet or if there are any other breathing issues, then it is recommended that they are switched every 2 to 4 weeks. This is to ensure that the dust and other debris are being removed from the air and are not sitting inside the unit for too long. This can cause further breathing problems for the person that is affected. It is always a good idea to keep up on the HVAC system throughout the home. By working with a qualified heating contractor, you can make sure that the heating system throughout your home has the best maintenance plan out there. Get in contact with the best ones working in your area when you call us or fill out our form. We can help you get in contact with the ones for your area that can come out and provide the necessary maintenance, repairs or replacements.